Recognize that in the current health care system, providers are incented to perform expensive and sometimes unnecessary procedures and tests. Before agreeing to a test, ask what the doctor wants to learn from the test. Also ask if the procedure or test can be performed at a non-hospital-owned facility, which often charge less. When making an appointment, verify the provider is covered under your plan at the in-network level. Document who gives you the answer to the question. There is a huge range of pricing on prescriptions. Consider using www.goodrx.com to find the cheapest place to fill your scripts. When entering a hospital, you are often asked to sign a financial guarantee form. Write the following on this form: I only agree to accept and pay for in-network care. Get a copy of this form. 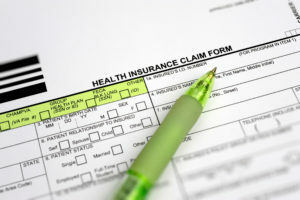 If you are subjected to out-of-network care and are balance billed, show the form to your insurance company. If the problem persists, contact your state insurance commissioner’s office. Keep a notebook and document every billing or insurance related call that you have with hospitals, insurance companies, and providers. If all other remedies fail and you face a balance due, negotiate the amount of the payment with the provider. Providers are often willing to accept a discounted payment if they know the money is coming directly from a patient and not an insurance company. The most effective way to avoid health care costs is to avoid the occurrences for needing care. Lifestyle accounts for two-thirds or more of health care costs in the US. Investments in maintaining your personal health can pay large dividends down the road in the form of reduced care costs.